Anglicare Australia welcomed initiatives in this week’s Budget that will provide more opportunities for people receiving welfare. “The shift towards individual plans and support for the most vulnerable members of our community offers real hope” Anglicare Australia’s Kasy Chambers Executive Director said today. “The challenge will be in implementation. Participation is more than an economic stimulant and Anglicare Australia’s members, like other community service providers, are keen to help get the balance right. “The Early Years program that St Luke’s Anglicare in Bendigo runs, for example, gives young mothers childcare qualifications, good life experience, and real links to the community in which they live. This is the kind of engagement Government suggests. “We all know it is not as simple as giving everyone a work test. As the Brotherhood of St Laurence, an Anglicare member, said regarding highly disadvantaged job seekers: Work experience must be linked to individual capacities and aspirations, as well as providing a line of sight to open employment. It is not just about pointing them at a job. “Community services have a shared responsibility to work on this with government, to share the experience of our clients and, importantly, to share their expertise – after all what better place to start to participate than in the services which will determine your future. “On the other side of the opportunities are the responsibilities, and there are issues around the compliance measures introduced in this Budget. “Life is difficult living on very low incomes. Allowances such as Newstart are effectively shrinking. They are now $100 a week less than a pension, while cost of living increases are, as a proportion, larger than for the rest of Australia. Suspension of income support can only be a last resort. “Nutritious food, suitable and secure housing, essential services and safe transport are increasingly out of reach for many of our clients. It doesn’t make much sense to lift your expectations for people to participate in society if they don’t have the platform for that participation. “That’s why we need to have an open dialogue with clients and Government as these new initiatives take shape. So we can all be assured they do work as they are intended to” Ms Chambers said. 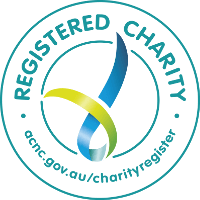 This statement represents the views of Anglicare Australia, as the national peak body of the Anglicare network. It may not necessarily represent the views of the Anglican Church of Australia or the views of an individual member of the Anglicare Australia network.